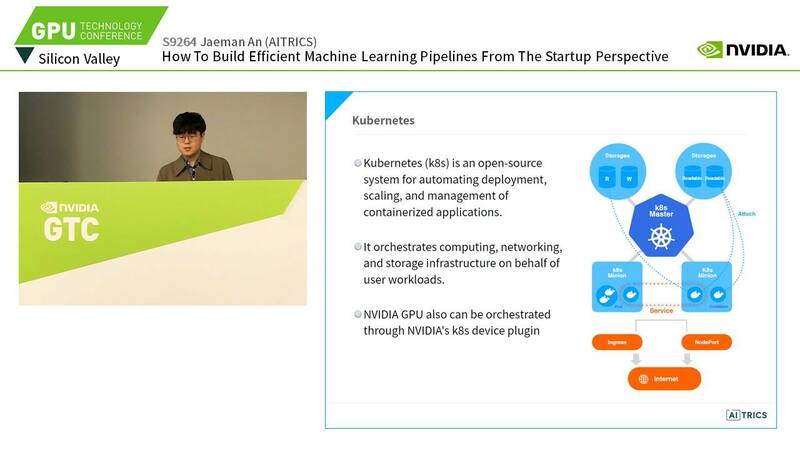 At NVIDIA’s GPU Technology Conference (GTC) on March 17-21, 2019 in Silicon Valley, AITRICS Lead Software Engineer Jaeman An presented a talk on how to build an efficient machine learning pipeline from a startup perspective. Machine learning is typically compute-intensive and requires graphics processing units (GPUs) to deal with ever-growing training data. However, leveraging multiple GPUs in high parallel computing environments brings some unique challenges, such as inflexibility in GPU sharing and difficulties in managing sensitive medical datasets and permission control. 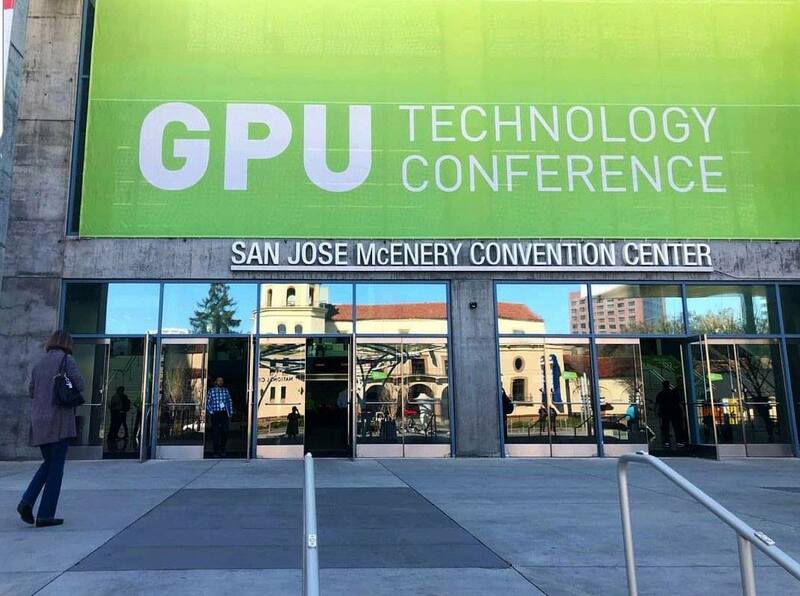 Despite the popularity and demand of GPUs, it is not easy to install, configure and integrate an end-to-end GPU stack. To ease this process, AITRICS proposes optimizations to automate time-consuming processes in cluster environments, thus reducing the wasted resources and allocating available ones more efficiently. During the presentation, An talked about the advantage of utilizing Terraform and Kubernetes to configure the clustering between physical servers and the on-demand cloud server. Building an efficient and scalable machine learning workflow and pipeline will eliminate unnecessary repetitive tasks, while empowering research scientists to concentrate on what they do best: training complex data and developing valuable algorithms. In the optimized machine learning development environment, scientists can select the type of resource and framework they need, without having to worry about building the underlying infrastructure from scratch. In addition, even if there is not enough capacity in the existing GPU servers, additional space can be secured dynamically through external cloud services.